An extremely economical solution where you want to be able to stream CCTV footage over the internet (to your smartphone, tablet, laptop etc.) but don't really need to record it. A typical application would be in a calving shed, where you want to be able to keep an eye on things when you're out and about. 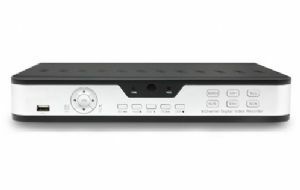 The DVR is equipped with a network facility that allows you to connect it to your broadband router and upload footage to the internet. You can then view it remotely from any internet-connected device. You can connect up to four cameras to the DVR, and if in the future you decide that you'd like to be able to record footage, you can buy a hard-drive and fit it in a couple of minutes. Readily available smartphone apps allow you to switch at will from one camera to another.